Over the weekend, the Ocean Institute held their annual Tall Ships Festival to celebrate the maritime history of the state. Historical ships sailed in during sunset on Friday to kick off the event. Over the weekend there were mermaid encounters, pirate visits and of course, mock cannon battles. 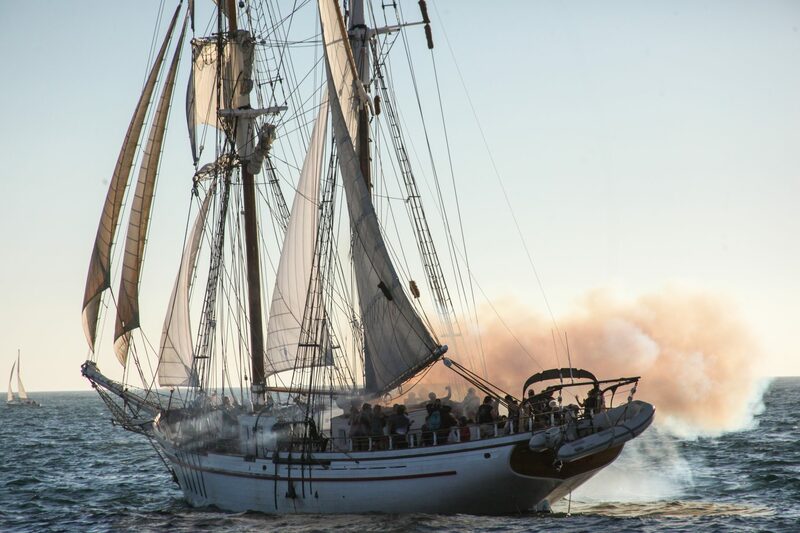 On Saturday and Sunday evenings, tall ships including the Bill of Rights and The Californian blasted their cannons during the annual battle. People onboard had a chance to participate in helping the crew, or sit back and relax.